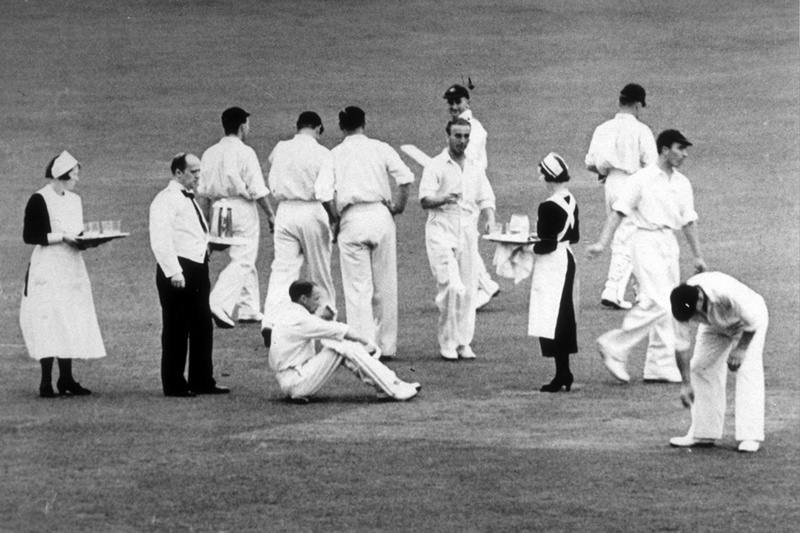 Old style: players are served tea at Headingley 1938 © Joe Darling, Australia’s flinty captain, suggested a tea-break when he led the 1899 team to England, and it was taken up after a fashion – refreshments were brought out to the players on the field. In 1902 the same system applied, and it wasn’t till 1905, with Darling still in charge, that the players officially left the field. This entry was posted in Misc and tagged Ashes, Australia, Cricket, England, Tea, Test cricket by The Ed. Bookmark the permalink.